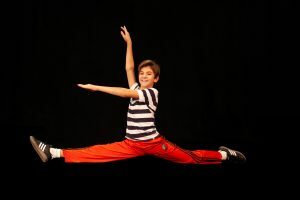 THOUSAND OAKS, CA – Compass Charter Schools (CCS) announced today that Parker James Fullmore, a middle school scholar from Riverside, will conclude his 3-year journey as Billy Elliot in on-stage productions. Parker’s passion for theater sparked at only 5 years old. In 2011, he saw Billy Elliot the Musical on its national tour for the first time. 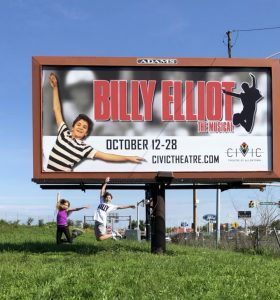 Billy Elliot is the story of an 11-year-old boy from a poor coal mining town in northern England who discovers his natural talent for dance. The character, Billy, is on stage for two hours and 45 minutes of a three-hour show, an intense undertaking for a young performer. Parker began auditioning for the part at the age of 9 and eventually landed the role becoming the youngest boy worldwide to ever take on the character, a record he still holds today. Parker has flourished as Billy and even won the 2016 Perry Award for Outstanding Young Actor in a musical. He has done shows across the country for three years and will soon end his journey performing his last shows in the state of Florida. Parker is one of several scholars at CCS who is successfully pursuing their passions while continuing to succeed academically. CCS is a virtual independent study charter school serving grades TK-12 with a scholar enrollment of over 1,700. CCS is dedicated to offering scholars like Parker access to quality online and homeschool educational programs to meet their unique needs. Over the past five years, CCS has educated the highly gifted, the bullied, the athlete, the actor, the academically-challenged, the chronically ill, and many other scholars who seek a personalized educational experience outside traditional classroom walls. Connect with Parker on Instagram and Facebook, @parkerjamesfullermore, to continue following his journey in musical theater!